In less than 4 years, referee Jay King has worked his 500th wrestling match. MWR recently caught up with him to find out about his career. 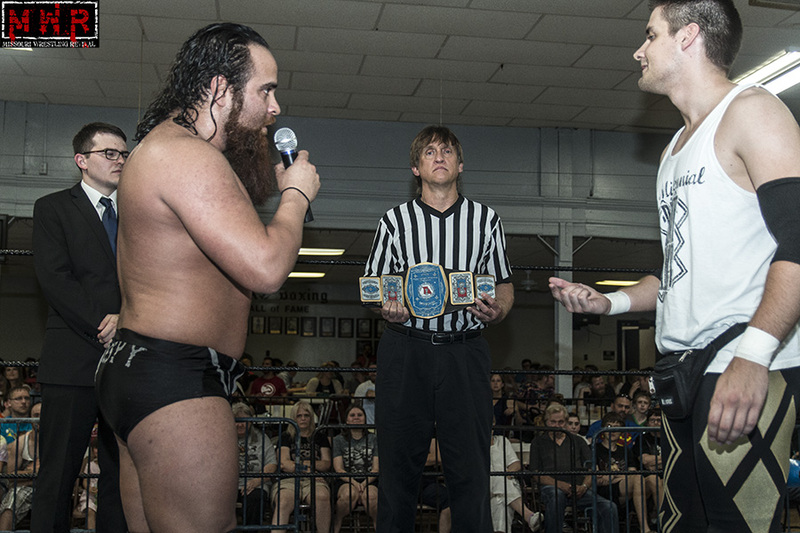 MWR: How did you get started as a referee? 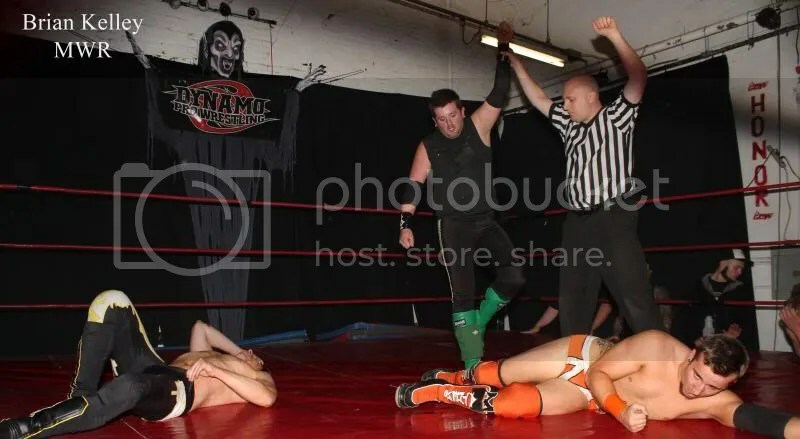 JAY: To be honest, at the time I didn’t even know about independent wrestling. I went to a Ring of Honor show and heard someone say, “Dr. King? What the hell are you doing here?” My full time job is as a veterinarian and earlier in the day I did a C-section on a dog owner by the guy asking me the question, Keith Smith. 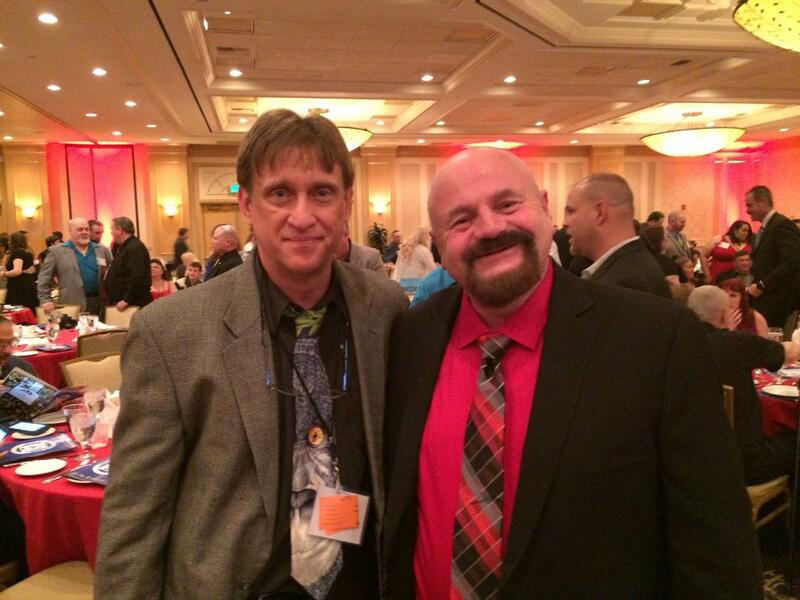 I found out he had been a wrestler for 25 years and was now a commissioner for one of the local feds. 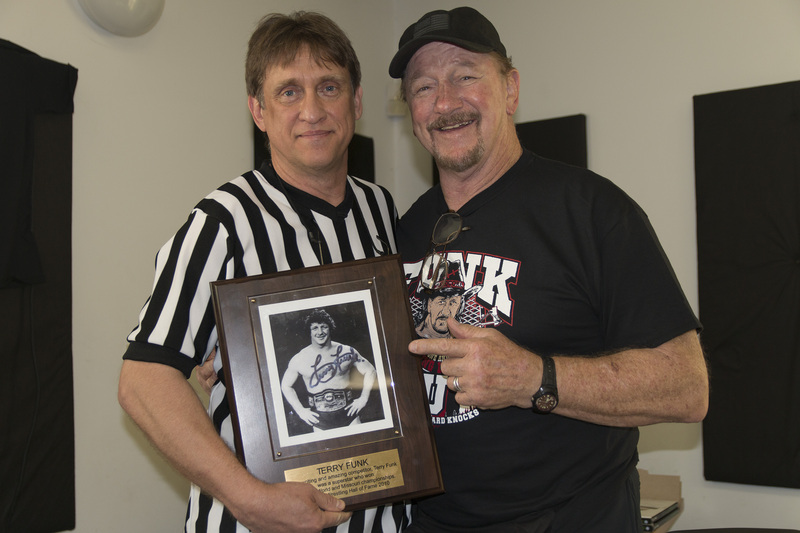 A week later when he brought his dog into the clinic to get the stitches out I just kiddingly said, “I know I’m too old to be a wrestler, but I can count to three if you need a referee!” He said they had a ref getting to retire in the next year if I was interested. JAY: The wrestler Johnny Courageous. He had never trained a referee and was willing to give it a try. MWR: What was the training like? JAY: Most of it was just working training matches. It’s much different than watching it on TV. 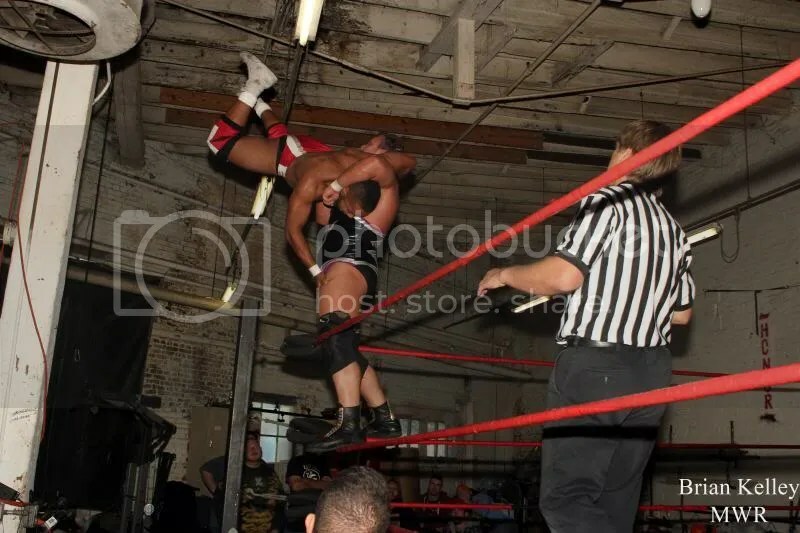 You have to know all the rules and watch for everything, like a foot on the ropes while at the same time you’re trying to watch the shoulders for a three count. I would also see some spectacular move and just sort of stand there and say, “That was really cool.” The wrestlers would look at me and say, “Hey, do you want to count?” No longer just watching – I’m part of the show too. 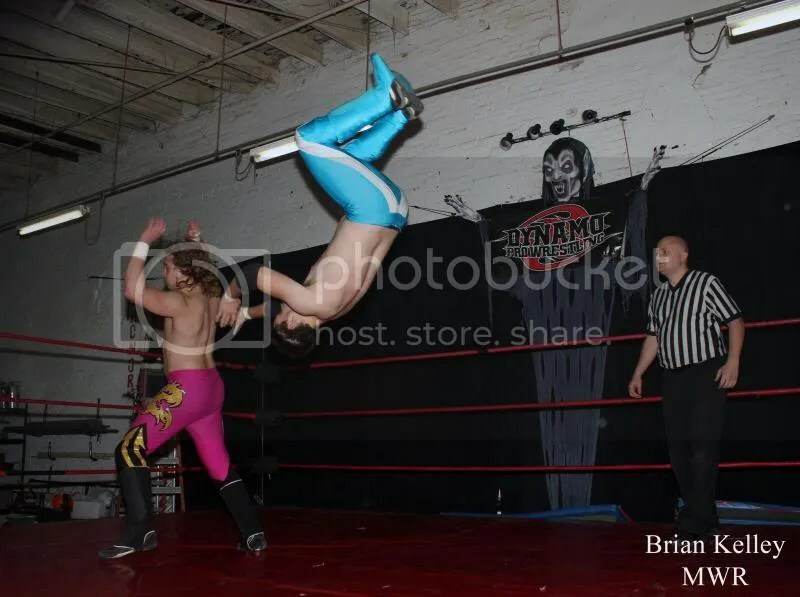 But after a while I found myself being in the way, I didn’t know where the wrestlers were going to move after certain wrestling techniques. 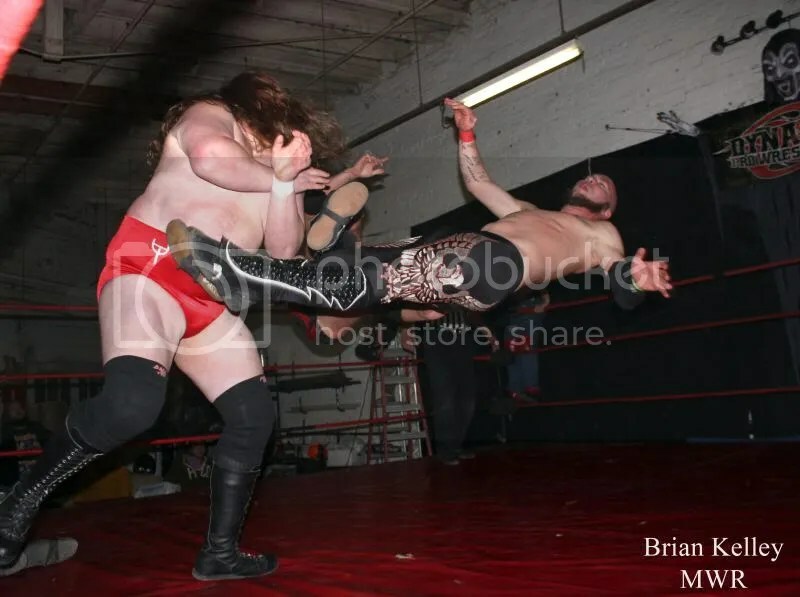 And really after you understand that after a suplex you get up one way, it gets pretty easy. 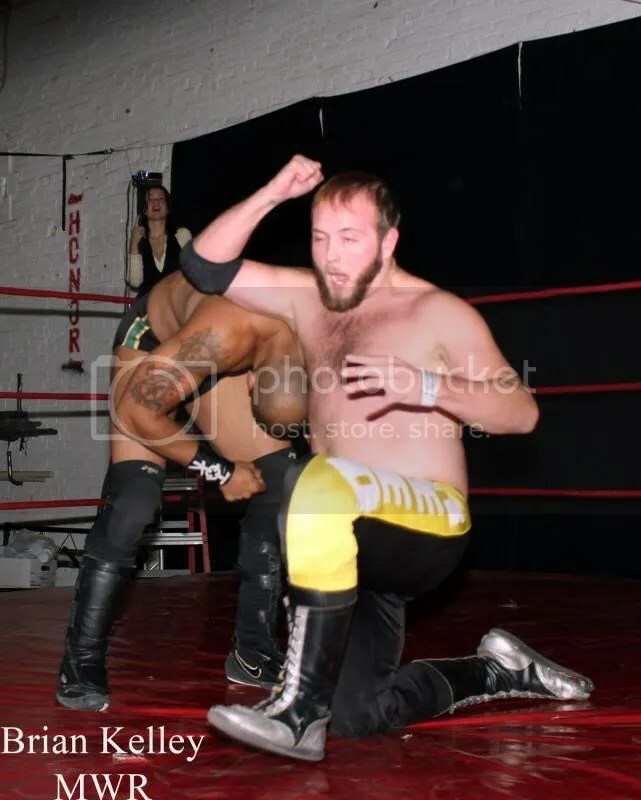 So I asked Johnny to give me basic wrestling training so I could be a better referee. I didn’t learn anything fancy, but I can see the “space” in the ring now. MWR: What do you remember about your first match? 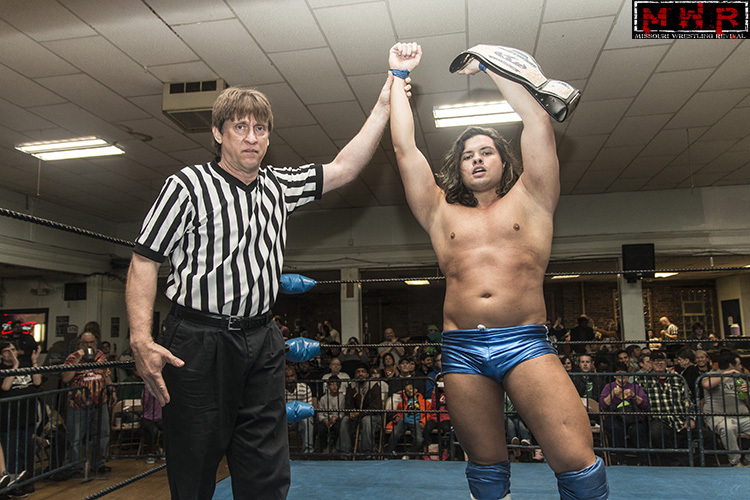 JAY: Actually my first match was a battle royal, so I just stood outside the ring and didn’t do much. The same show I worked with Ken Kasa and Jimmy D. When I went to do the pat down, Jimmy D raised his foot and kicked me right in the groin. I quickly learned where to keep my hands. 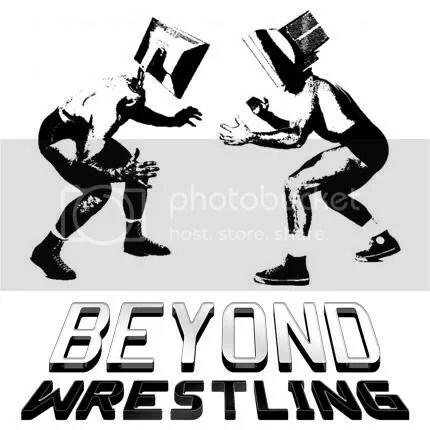 MWR: Did you grow up watching wrestling? JAY: Well, I’m an old guy so I grew up watching Wrestling at the Chase. I remember my grandpa would drag the mattress into the living room every Saturday night and we would lay there until I fell asleep. The good thing was they showed it again on Sunday morning so I could see anything I missed. Later on in St. Louis you could watch World Class and some of the southern US shows. In college I could get AWA, WWF(E) and WCW. I guess I’ve watched a lot of wrestling in my life. MWR: What organizations have you refereed for? 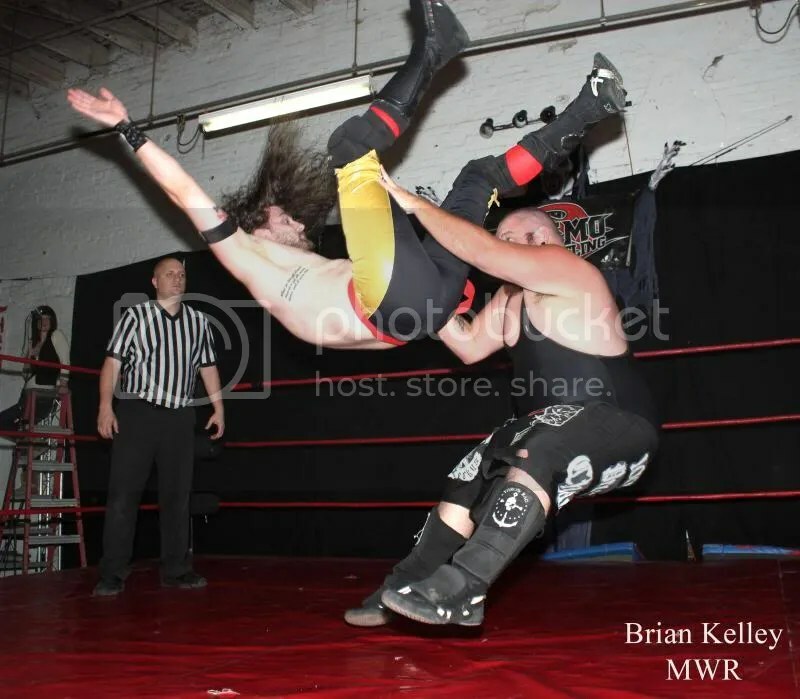 JAY: My first match was with MMWA. 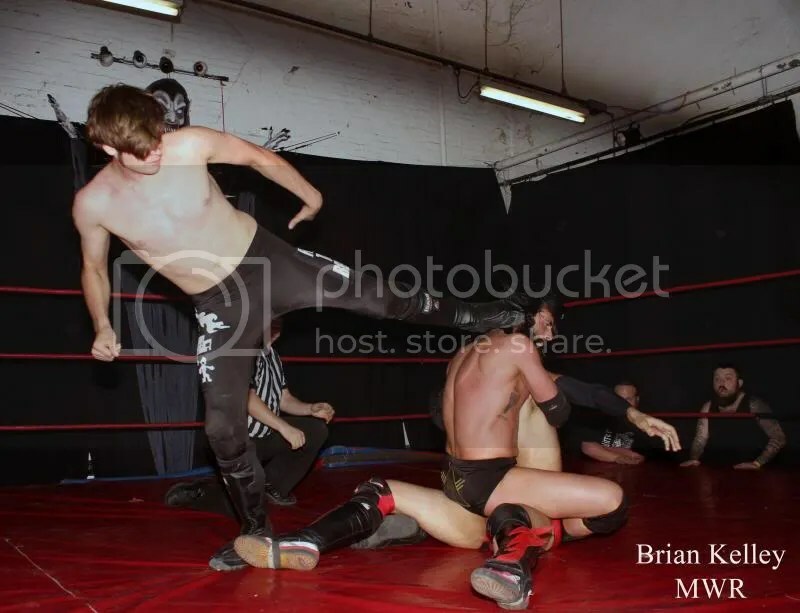 Then SICW and Dynamo Pro. 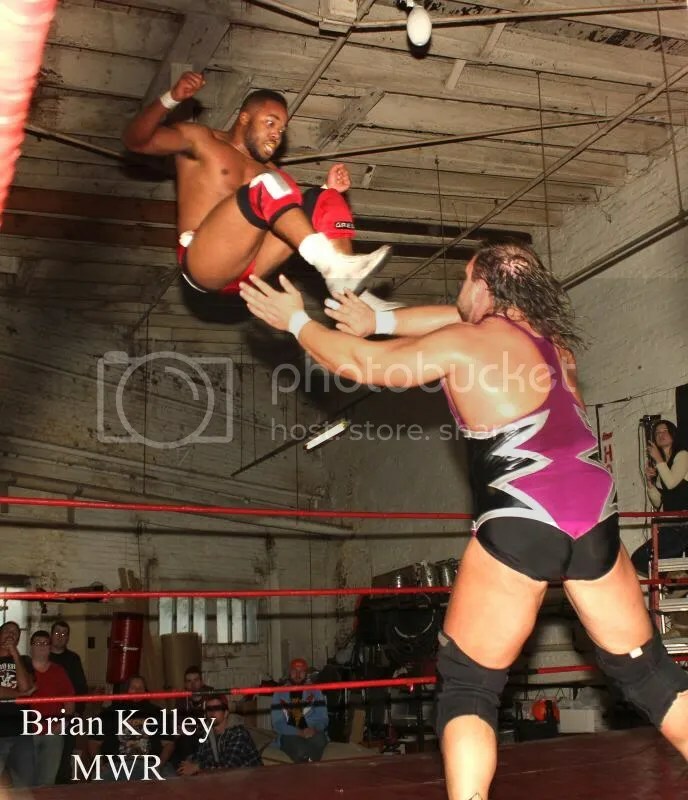 Since then I’ve also worked for NWA Central States, High Risk Wrestling, Half Pint Brawlers, Extreme Midget Wrestling, PWCS, Pro Wrestling Epic, Fist Combat Wrestling, Beyond Wrestling, Anarchy, and the Cauliflower Alley in Las Vegas. MWR: What wrestlers have you worked with the most? JAY: I keep a list of every match I’ve worked. Out of 500 matches, I’ve refed 53 with Brandon Espinosa. I guess that makes sense since he works for three of the feds that I do. Following him would be Jake Dirden (44), Gary Jackson (39), and Ricky Cruz (35). I won’t say I have any favorites because I don’t want to seem impartial. Plus, I don’t want anyone to be upset and take it out on me in the ring. 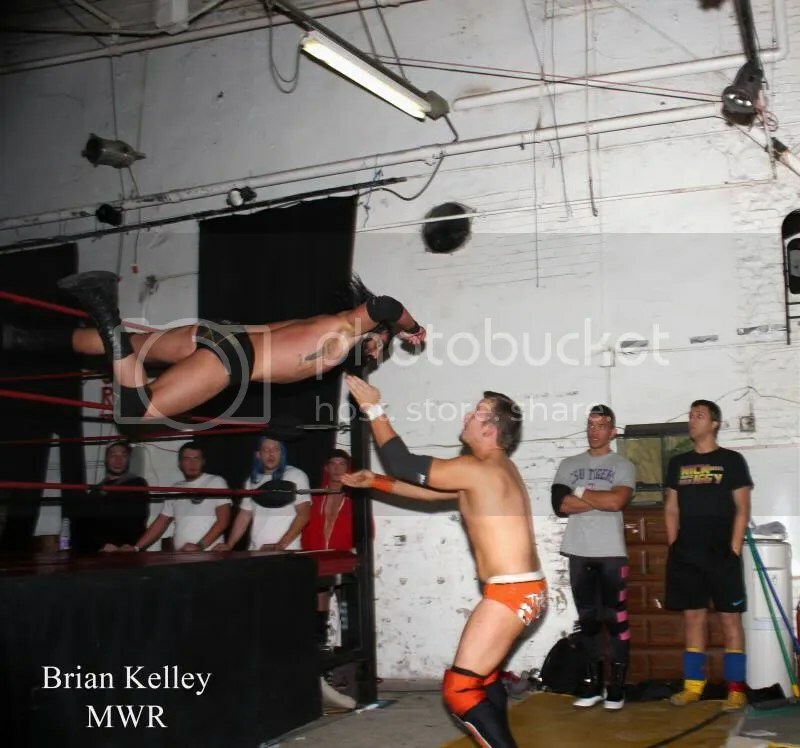 MWR: Have you been hurt in the ring? 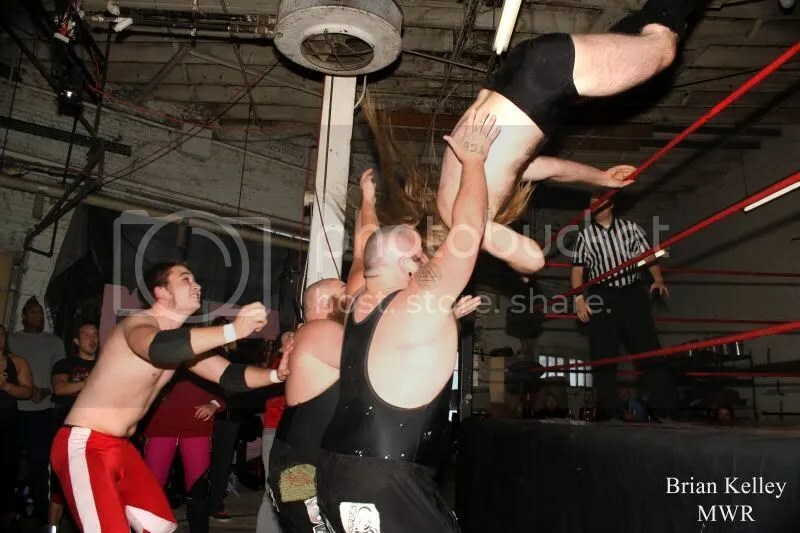 Jay: I’ve been punched, kicked, thrown out of the ring, choked out, been in a cross face, squashed between Big Texan and Frankie Wyatt (almost 700lbs of meat), and had by head split open with a steel chair. 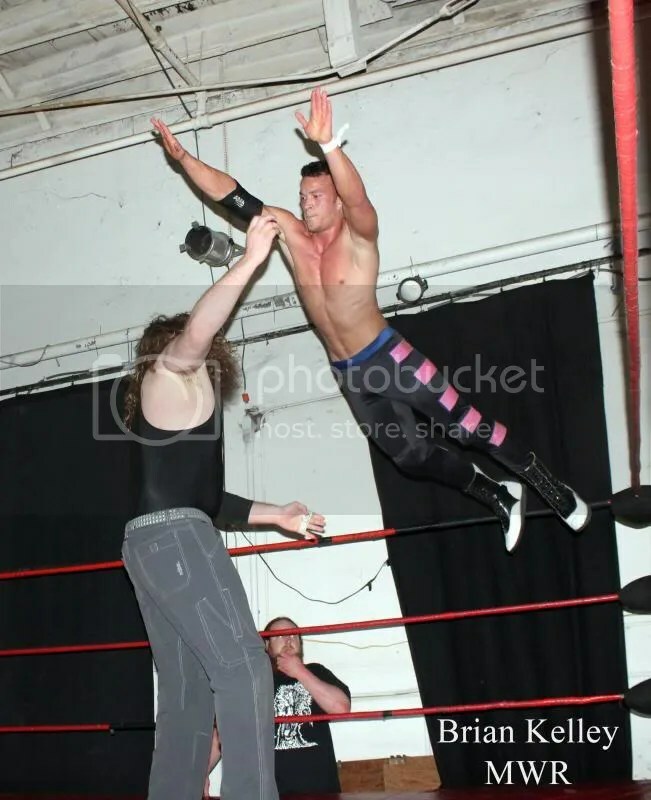 On that last one, I asked one of the wrestlers if I need stitches. His reply, “That should scab nicely.” After that, I think the boys in the locker room respected me more because I bleed with them. 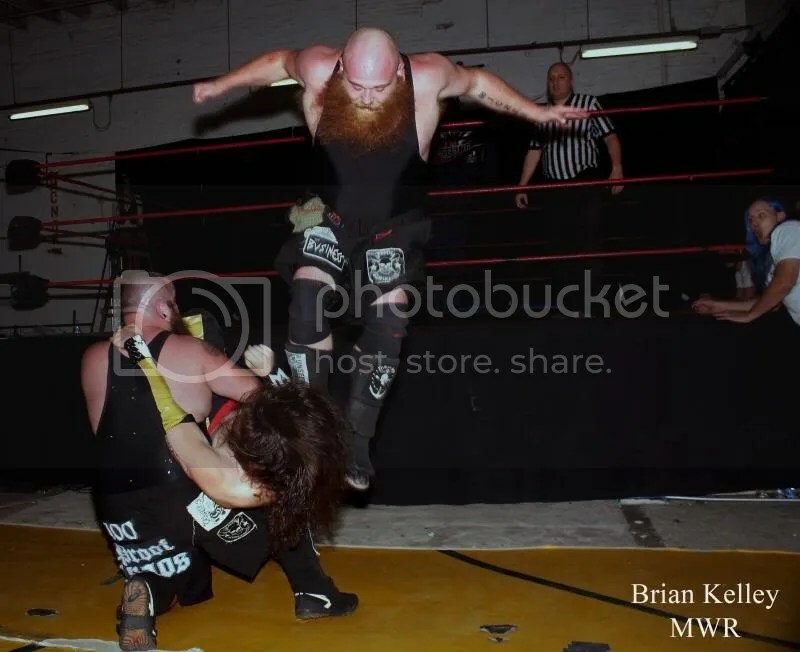 MWR: What has been your favorite match that you’ve worked? 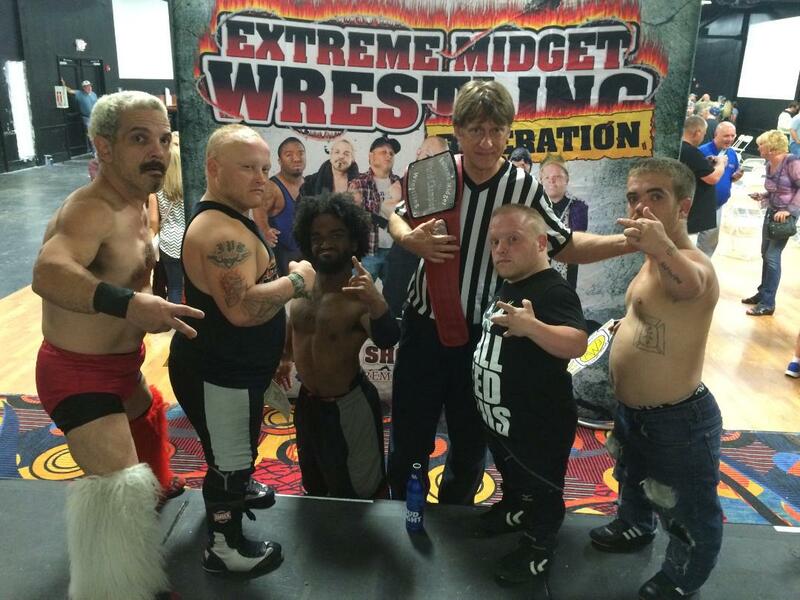 JAY: Several months ago I worked a match with Little Kato and Beautiful Bobby, two midgets. Usually as a ref, I’m suppose to be invisible. Only being seen for counts and enforce the rules. With those guys there were so many spots that I was, well, part of the show. 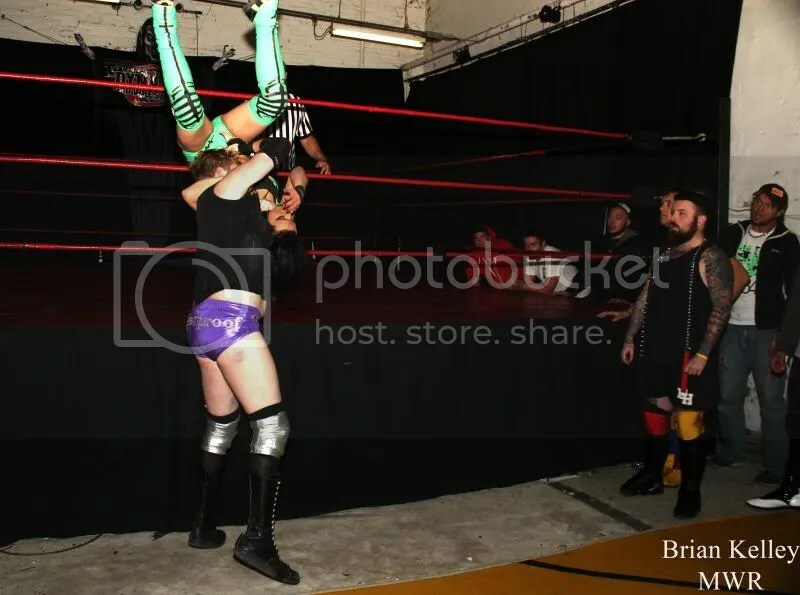 They were yelling at me, I had to get untangle from the ropes, and then at one point when one would kick out he would sling the other one into the air where I had to catch them. 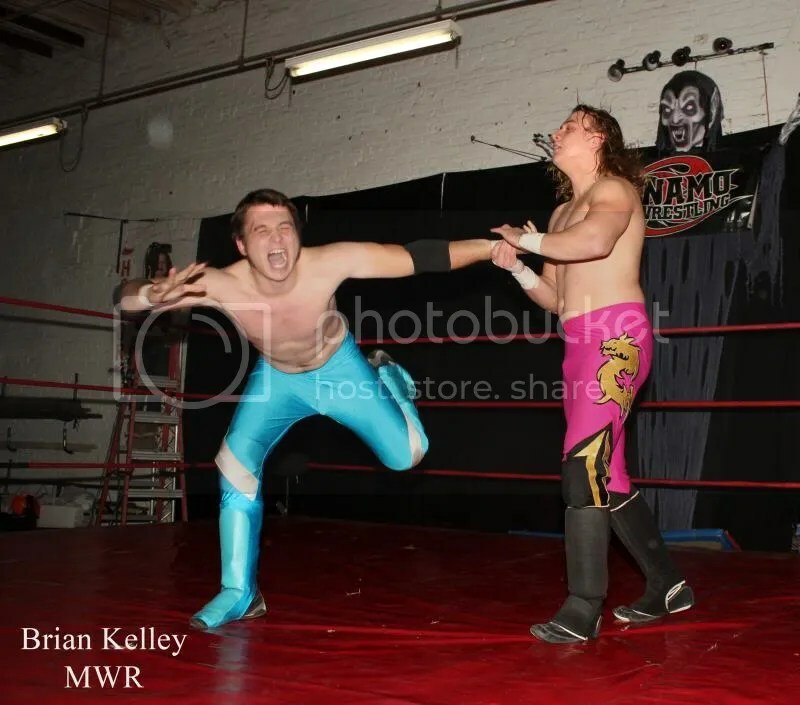 At one point I tried to throw Kato out of the ring (after he told me to do it to Bobby). That was so much fun. 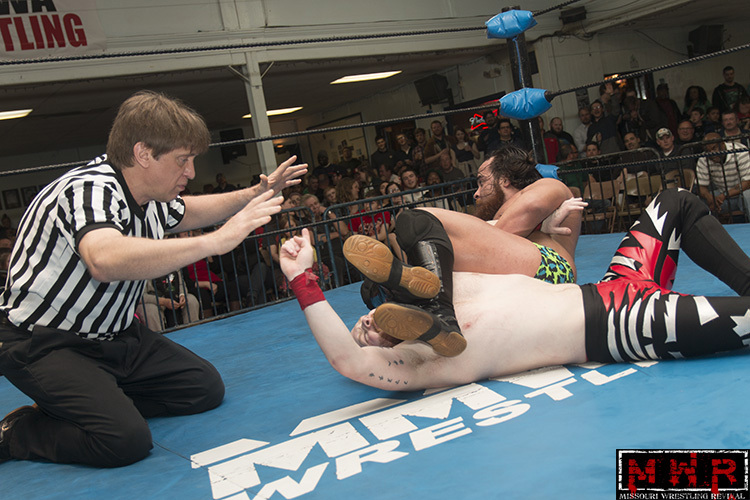 MWR: What is the hardest part of being a referee? JAY: Staying out of the way! When you get two guys running back and forth in a 20 foot ring it is sometimes hard not to be where they are. Then you do a three way, tag team, or 4 tag team match…at some point you know all of them are going to be in the ring. Less space for me. The worse time started with three guys in the ring. Then came in Sabu. Soon he had a chair that he was throwing all over the place. Then a table. I was ducking and running for my life. Sabu and Ken Kasa went through the table and I had to dive over them to get to the other wrestlers for the three count. MWR: How was the 500th match? JAY: It was the “Legends vs Monsters” match: Gary Jackson, Cowboy Bob Orton, and Ron Powers vs Vic the Bruiser, Kahagas, and Atilla Kahn. 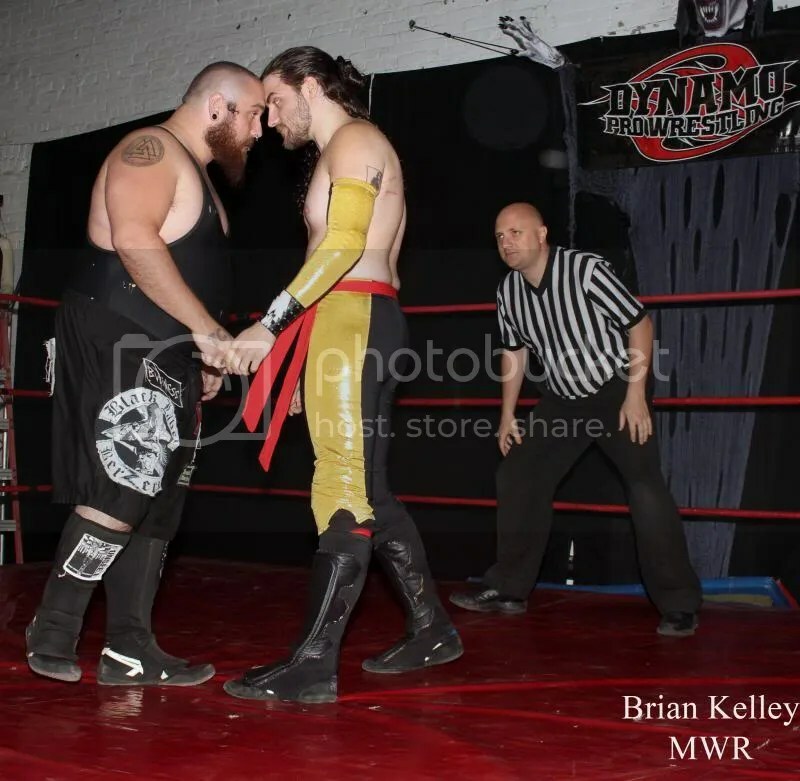 Anytime you two of those guys in a ring together you know it’s going to be a wild match, but all six…I had my hands full. MWR: So 500 matches. What’s next? JAY: I’m usually working 3 shows a month (one month 8), but as long as I’m having fun, I’m just going to keep doing it. 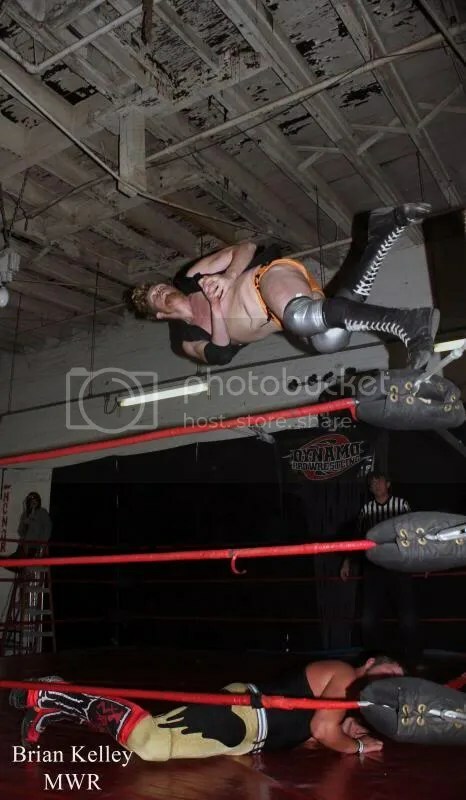 One thing I do ask the wrestlers, if you aren’t going to be able to hold the other guy down for a three count, please do it close to the ropes. For me, getting down for a count is easy but getting up sometimes can be hard. 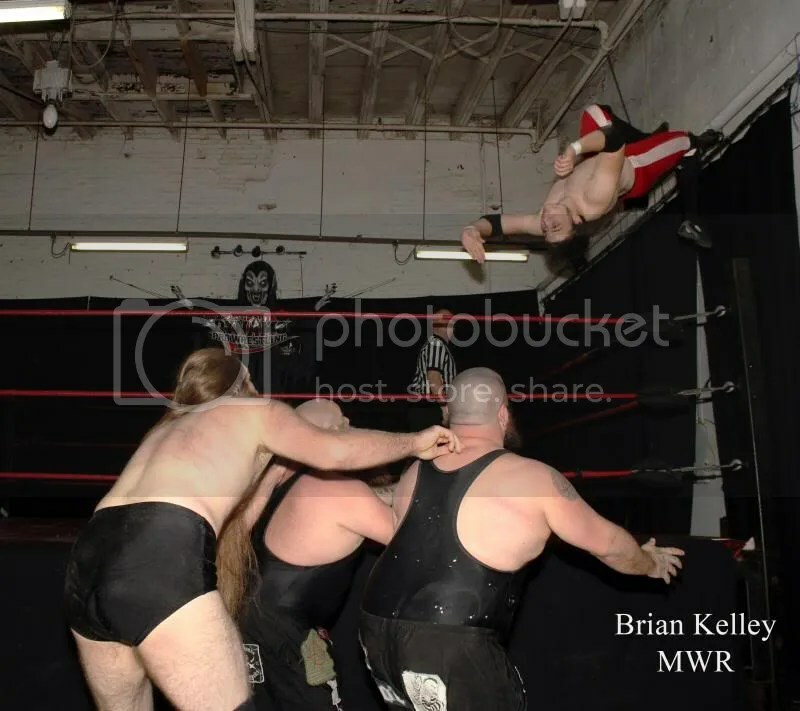 If you are close to the ropes, I can at least pull myself back up. 22. 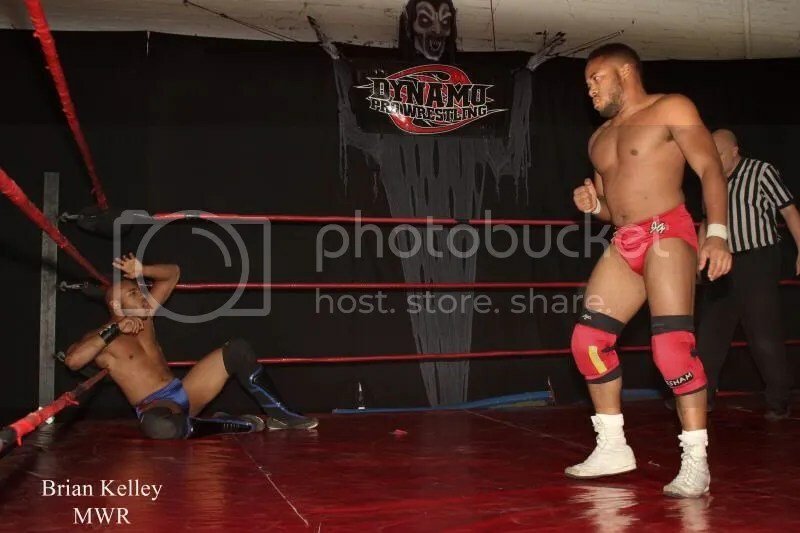 Quarterfinal match in the Central States Heavyweight Championship tournament – Evan “Money” Morris (w) vs The Dark Kanai. 23. Quarterfinal match – “The Showgun” Shane Fury (w) vs Chris L.O.G.A.N. 24. Andy DAlton, IL (w) vs Jerome Daniels. 25. 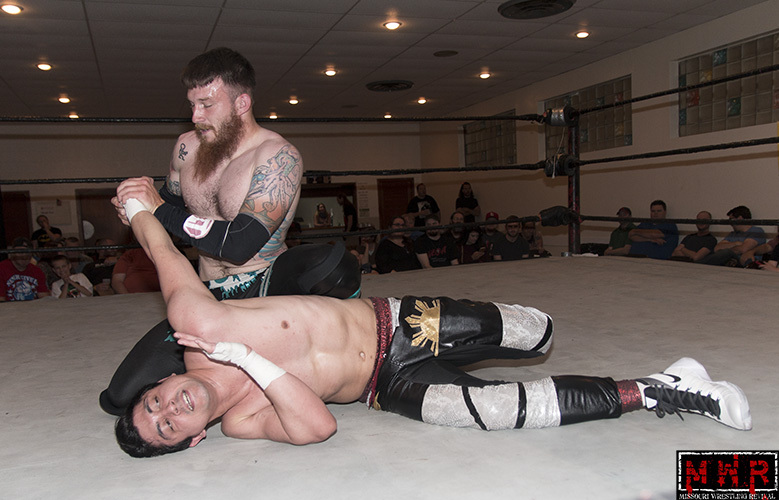 Quarterfinal match – “The Black Scorpion” Symon Pheonix (w) vs “Ruff Cut” Rick Ruby. 27. 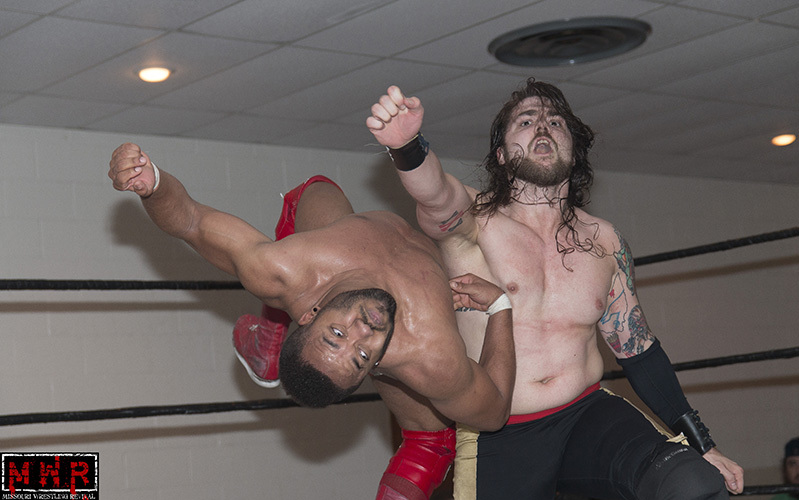 Quarterfinal match – Deven Spade (w) vs Just Amazing. 30. 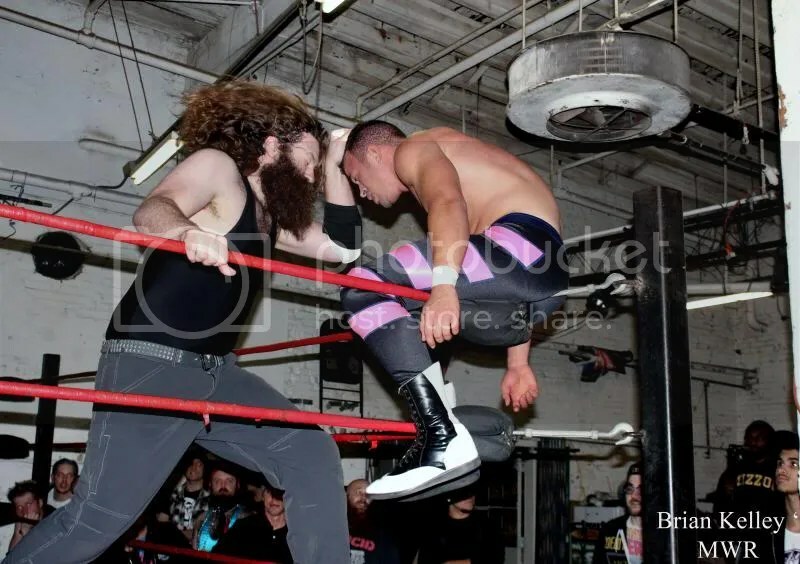 NWA North American Heavyweight Championship – Byron Wilcott (w) vs “Too Much Metal” Gregory James. 155. Royal Rumble – Jeremy Wyatt (w) – Lucy Mendez, Andino Giovanni, Mike Sydal, Ace Hawkins, Mark Sterling, Showtime Bradley Charles, Alexander Rudolph, Jon Webb, Andrew Wilder, Jack Gamble, David DeLorean, OuTtKaSt , Evan Morris, Geek Singh, Michael Magnuson, Shorty Biggs, The Alternative Brandon Gallagher, Dan Walsh, Elvis Aliaga. 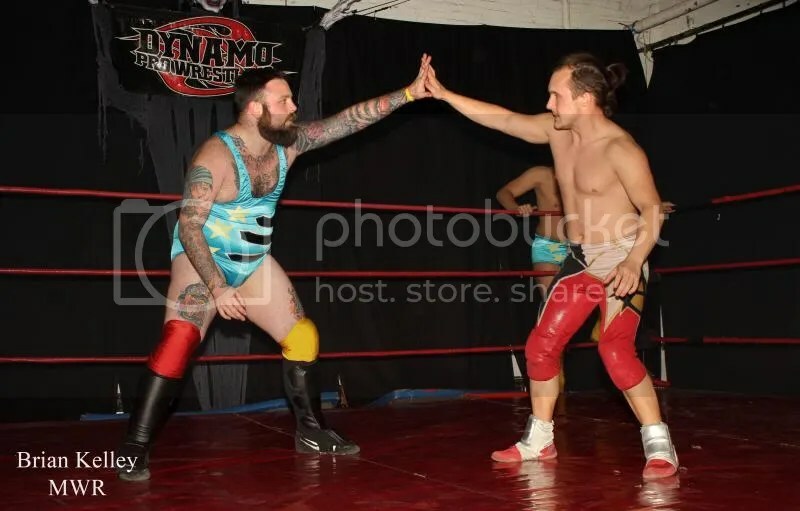 Next weekend Jay King will be laying down the law at the Dynamo’s show at NatsuCon and the first Resurgence show at the Ready Room. 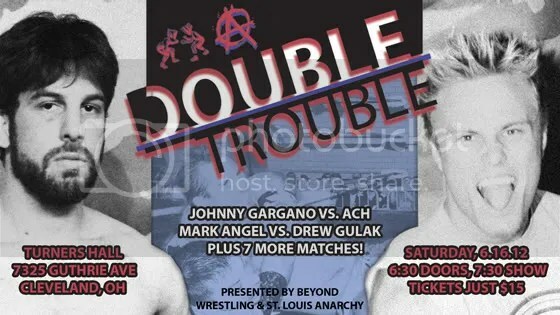 Beyond Wrestling and St. Louis Anarchy Present: “Double Trouble” June 16th. 6:30pm until 11:00pm in EDT.